Mrs. Goodall transitioned from labor to reward on Monday, September 24, 2018 at the UNC Lenoir Health Care Center in Kinston, North Carolina. She was born in Lenoir County, North Carolina on October 30, 1927 to the late Mr. John Rouse and Mrs. Jennie Hardy Rouse. Mrs. Goodall received her education in the Lenoir County public school system. After graduating from high school, Mrs. Goodall furthered her education by applying to and being accepted at Fayetteville State Teachers College, Fayetteville, North Carolina, now Fayetteville State University, where she earned her Bachelor of Science Degree in education. 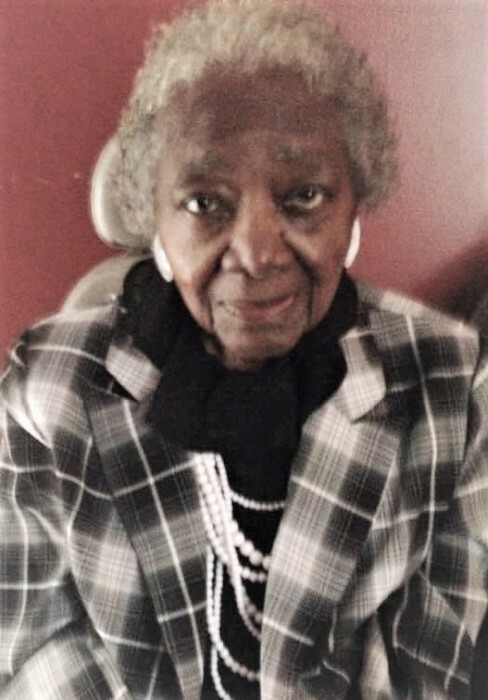 Mrs. Goodall was a faithful member at Ebenezer Missionary Baptist Church, under the leadership of Pastor Michael Johnson, and an honorary member of Dimensions In Christ Fellowship of La Grange, NC. During Mrs. Goodall working years, she served as a Professional Educator and retired from teaching after over 35 years of service. Early in her life, she met, dated and later married Mr. Charles E. Goodall. Mrs. Goodall was preceded in death by her parents; Mr. John Rouse and Mrs. Jennie Hardy Rouse; her husband, Mr. Charles E. Goodall. A celebration of life will be held on Saturday, September 29, 2018, at 11:00 a.m. in the Ebenezer Missionary Baptist Church, 209 Carey Street, La Grange, North Carolina. Pastor Maurice Rouse Goodall will officiate. Interment will follow the celebration of life service in the Fairview Memorial Park Cemetery, 295 West James Street, La Grange, North Carolina. Also, a public viewing will be held on Friday, September 28, 2018 from 3:00 p.m. to 6:00 p.m. in the Britt Funeral Home Memorial Chapel, 414 East Washington Street, La Grange, North Carolina. Mother Goodall leaves to cherish her loving and precious memories to her son, Pastor Maurice R. Goodall and wife, Sabrina of La Grange, NC; her beloved brother, Mr. James E. Rouse of Washington, DC; her beautiful grandchildren, Mrs. Victoria E. Brown and husband, Isaac, Ms. Christa A. Goodall and Ms. Maurita A. Goodall all of La Grange, NC; her faithful care giving team, Mrs. Carolyn and Mr. William Koonce of La Grange, NC; a loving host of cousins, other relatives and friends. On Saturday, September 29, 2018, the family and friends will assemble at the home of Mr. and Mrs. Maurice Rouse Goodall, 5847 Huntington Park Drive, La Grange, North Carolina at 9:30 a.m. in preparation for the funeral possession.